La Sorpresa margarita at Red Iguana. Red Iguana is nationally known for its moles, making the Mexican restaurant notorious for hours-long wait times at both of its West side locations in Salt Lake City. But before you blindly order a run-of-the-mill margarita to go with your amarillo mole, you might want to take a second glance at the cocktail menu. Recently Red Iguana replaced its classic cocktail menu with not only an updated list of creative margaritas, but an impressive list of tequilas spanning from the local Vida Tequila to the premium Don Julio. They’re even serving up one of my favorite agave-based spirits, Herradura. For example, the La Patróna ($8.75) is made up of Vida Tequila, Patrón Citronge (an orange liqueur) and topped with a Cava float. Yes, the sparkling wine, Cava. No, it doesn’t make sense. But you’ll stop asking questions once you taste how perfectly all the flavors blend together. A shot of tequila with Sangrita de la viuda on the side. Another surprising mix up is the Plata ($8.75) with Herradura de Plata, Cointreau and a Presidente brandy float. Something about the brandy brings all the flavors together in a wonderfully magical way. 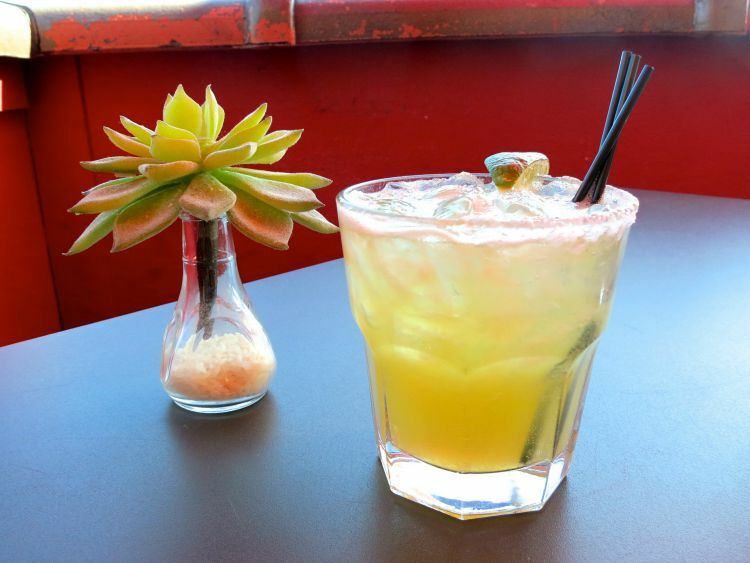 If you just can’t bring yourself to stray from the classic margarita, try the La Sorpresa ($6). The menu describes it simply as “proprietary Red Iguana recipe,” and while I’m not allowed to share what the ingredients are, I can say two things: 1.) the ingredients will surprise you, and 2.) it’s probably the best margarita on the menu. It also happens to be the cheapest! 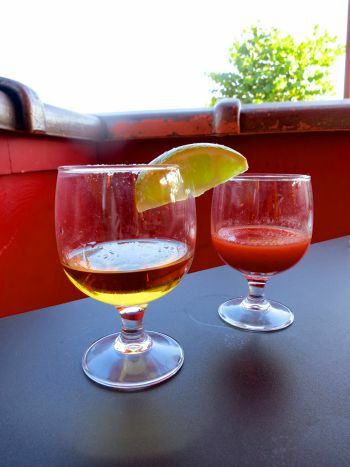 The straight-up tequila selection has also been enhanced, with plenty of options available neat, dressed, on the rocks or with Sangrita de la viuda, a house-made mixture of tomato, orange and lime juices with a slightly spicy kick. Again, it sounds a little skeptical, but it somehow works perfectly with the tequila. The best part about Red Iguana is no matter what form of tequila you order, classic or creative, you know it’ll pair perfectly with any of their dishes. Disclaimer: I was an invited guest of Red Iguana and several items were provided free of charge. As always, all opinions are my own.